2016 gave us another year of fascinating and diverse discoveries. Our researchers developed innovations that improved our health, brought us closer to a more sustainable future, revealed surprising new details about life on Earth and the stars above our heads, gave us new insight into some of the most complex aspects of human society and even discovered a new element on the periodic table. Let’s look back at the 20 stories our readers clicked on most. Vanderbilt University Medical Center nephrologist and Associate Professor of Medicine Dr. William H. Fissell IV is making major progress on a first-of-its-kind device to free kidney patients from dialysis. He is building an implantable artificial kidney with microchip filters and living kidney cells that will be powered by a patient’s own heart. Read more. A Vanderbilt University study found that LGBTQ students attending high schools with gay-straight alliances reported significantly fewer incidences of bullying based on sexual orientation or gender expression and had a greater sense of personal safety compared to students in schools without such alliances. Read more. 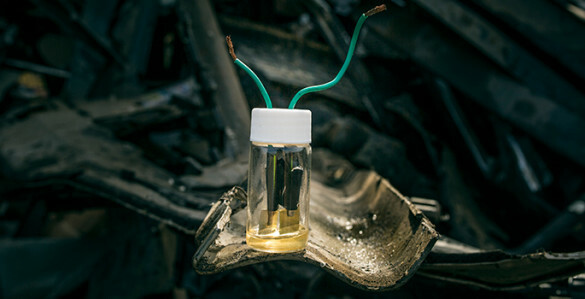 Take some metal scraps from the junkyard; put them in a glass jar with a common household chemical; and, voilà, you have a high-performance battery. Read more. The name “tennessine” was proposed by Joseph Hamilton, Landon C. Garland Distinguished Professor of Physics at Vanderbilt, and was adopted by the members of the Russian-American collaboration. Hamilton and Professor of Physics A.V. Ramayya at Vanderbilt played key roles in the discovery of the element, number 117 on the periodic table. Read more. 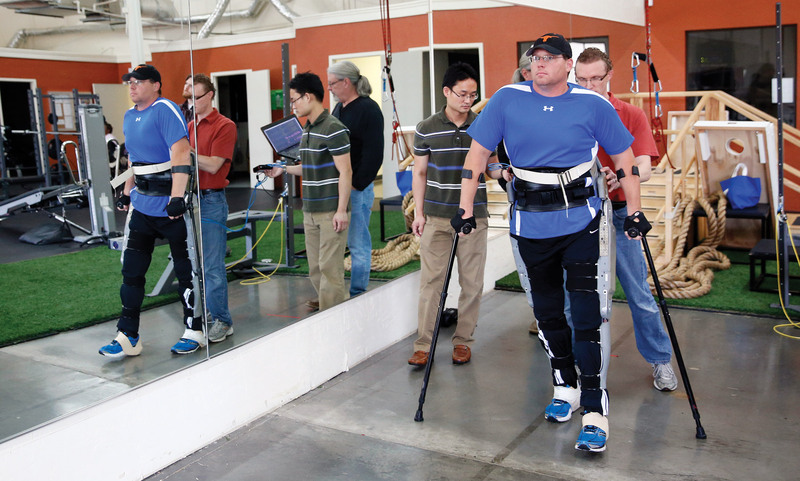 A prototype of the Indego exoskeleton developed at Vanderbilt’s Center for Intelligent Mechatronics. The U.S. Food and Drug Administration has given clearance to market and sell the powered lower-limb exoskeleton created by a team of Vanderbilt engineers and commercialized by the Parker Hannifin Corporation for both clinical and personal use in the United States. Read more. Finally, psychologists have discovered a type of face that men are better at identifying than women: the faces on Transformer toys. Vanderbilt’s Isabel Gauthier wanted to see whether experience influenced a person’s ability to recognize a face quickly, and tested the theory by asking men and women to look at the types of dolls they were most likely to have played with as children. Read more. Researchers at Vanderbilt and Columbia universities have made an important discovery in mice that has implications for understanding the gastrointestinal problems experienced by some children with autism. Read more. 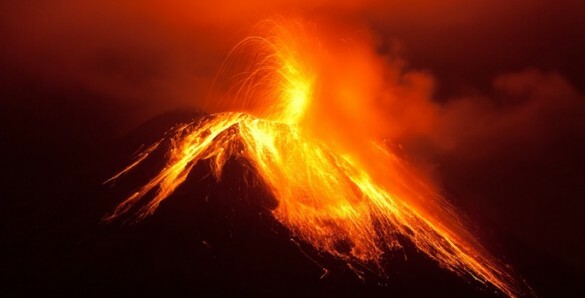 Super-eruptions – volcanic events large enough to devastate the entire planet – give only about a year’s warning before they blow. That is the conclusion of a new microscopic analysis of quartz crystals in pumice taken from the Bishop Tuff in eastern California, which is the site of the super-eruption that formed the Long Valley Caldera 760,000 years ago. Read more. For several years, Leon Bellan, assistant professor of mechanical engineering at Vanderbilt University, has been tinkering with cotton candy machines, getting them to spin out networks of tiny threads comparable in size, density and complexity to the patterns formed by capillaries – the tiny, thin-walled vessels that deliver oxygen and nutrients to cells and carry away waste. His goal has been to make fiber networks that can be used as templates to produce the capillary systems required to create full-scale artificial organs. Read more. The first study that directly compares Neanderthal DNA in the genomes of a significant population of adults of European ancestry with their clinical records confirms earlier hypotheses that this archaic genetic legacy has a subtle but significant impact on modern human biology. Read more. 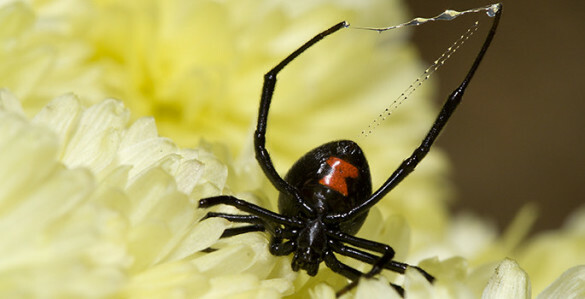 DNA related to black widow spider toxin has been discovered in a phage that infects the bacterial parasite Wolbachia. It is the first time animal-like DNA has been found in a bacterial virus. Read more. When observations of KIC 8462852, also called Tabby’s star, showed a number of unusual light fluctuations and dimming over several years, it gave rise to the unusual theory that it could be the home star of a race of industrious aliens who are gradually enclosing it in a vast, energy-capturing shell called a Dyson sphere. But, to the disappointment of alien-hunters everywhere, new Vanderbilt research shows that the original readings may have been off, and that the star is not actually dimming. Read more. When cornered by a threatening object that is partially submerged, electric eels will often attack by raising up out of the water, pressing their chin against the object’s side and administering a series of powerful electrical shocks. Read more. Imagine living on a world where, every 69 years, the sun disappears in a near-total eclipse that lasts for three and a half years. 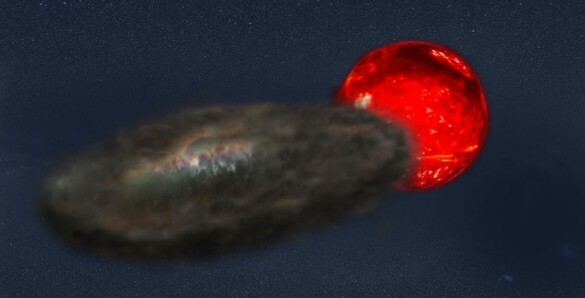 That is just what happens in an unnamed binary star system nearly 10,000 light years from Earth newly identified by Vanderbilt and Harvard astronomers. The binary system, known only by its astronomical catalog number TYC 2505-672-1, sets a new record for both the longest duration stellar eclipse and the longest period between eclipses in a binary system. Read more. Among the things high-frequency traders have been accused of doing is creating what’s called “phantom liquidity.” Critics say HFTs place—then abruptly cancel—staggering numbers of trade orders to create the illusion of greater supply or demand for a stock in order to move the price to their advantage. 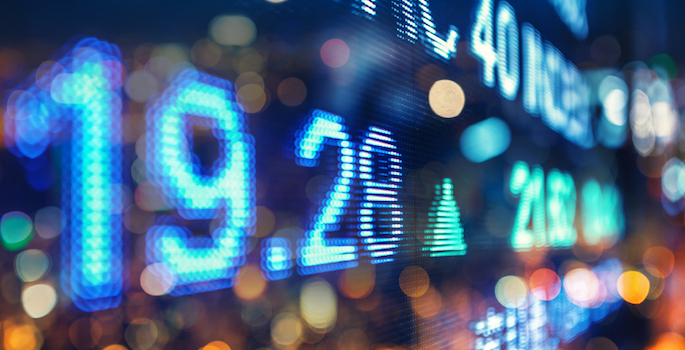 However, a new paper by Jesse Blocher, assistant professor of finance at Vanderbilt University’s Owen Graduate School of Management, finds little evidence of HFTs causing such problems. Read more. In the popular mind, mass extinctions are associated with catastrophic events, like giant meteorite impacts and volcanic super-eruptions. 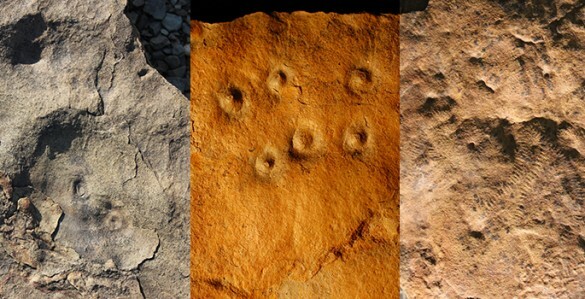 But the world’s first known mass extinction, which took place about 540 million years ago, now appears to have had a more subtle cause: the evolution of complex microorganisms that eventually altered the environment so significantly it caused a number of species to die out. Read more. 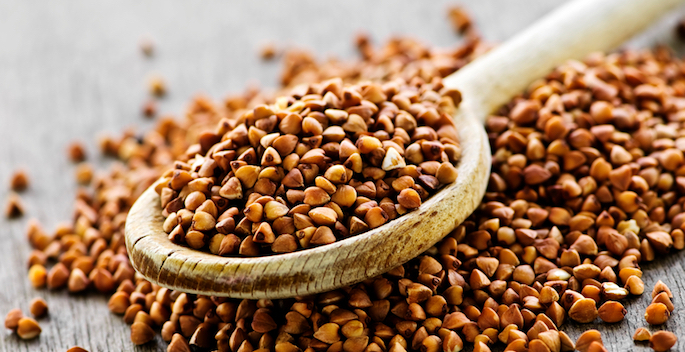 A compound found in buckwheat seeds extends the lifespan of worms, Vanderbilt investigators have discovered. They reported in the journal Aging that C. elegans worms consuming salicylamine — a compound that inactivates molecules called isoketals — live longer healthy lives compared to worms not receiving the compound. Read more. An interdisciplinary team of scientists has worked out a way to make electric vehicles that only are not only carbon neutral but carbon negative, capable of actually reducing the amount of atmospheric carbon dioxide as they operate. Read more. The macaw has a brain the size of an unshelled walnut, while the macaque monkey has a brain about the size of a lemon. Nevertheless, the macaw has more neurons in its forebrain – the portion of the brain associated with intelligent behavior – than the macaque. That is one of the surprising results of the first study to systematically measure the number of neurons in the brains of more than two dozen species of birds ranging in size from the tiny zebra finch to the six-foot-tall emu. The study found that the birds consistently have more neurons packed into their small brains than are stuffed into mammalian or even primate brains of the same mass. Read more. Presidential contender Donald Trump had a nine-point edge over Democratic opponent Hillary Clinton, according to results from the Vanderbilt Poll conducted April 25-May 11, 2016. The poll showed Trump with 44 percent of the vote to Clinton’s 35 percent overall. Read more.